Kwanzaa may be a relatively new to the winter holiday lineup (it was started in 1966), but the variety of traditional African and African-American foods served is impressive and delicious and steeped in diverse culinary heritages, emphasizing spices, veggies, and uncoventional taste twists. 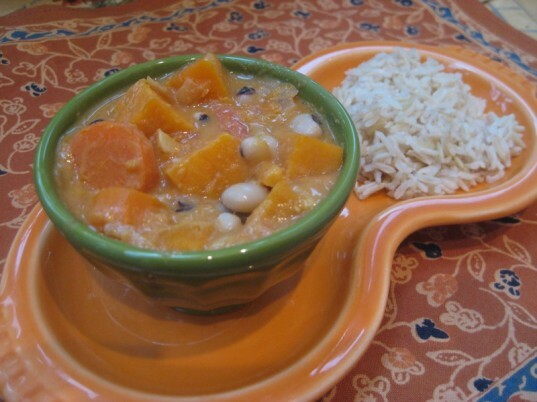 This groundnut stew is known around our house as "Peanut Butter Stew," named for the not-so-secret ingredient that makes this dish a standout. 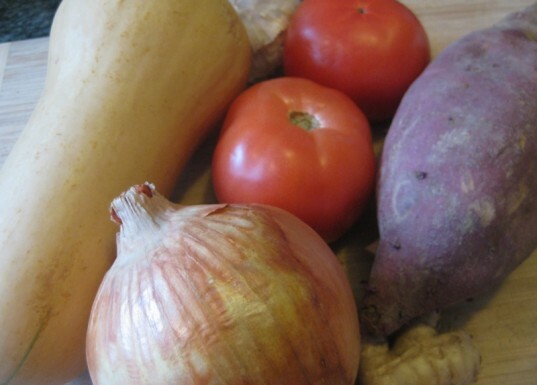 Read more for an irresistible meal (whether you celebrate Kwanzaa or not): What kid would turn their noses up at a stew made with peanut butter? Black eyed peas give an optional, but highly recommended dose of protein. 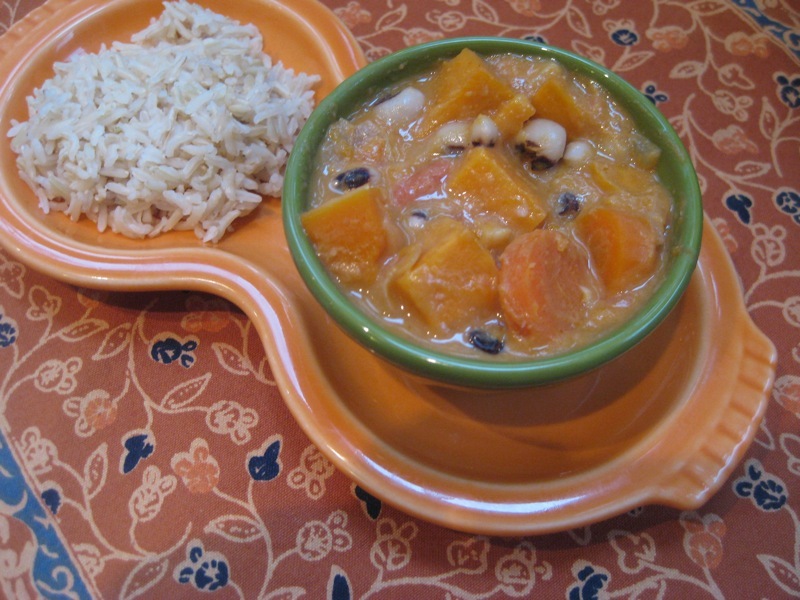 They are also considered to be good luck for a new year - so serve up this Groundnut Stew for a yummy and prosperous start to 2012. 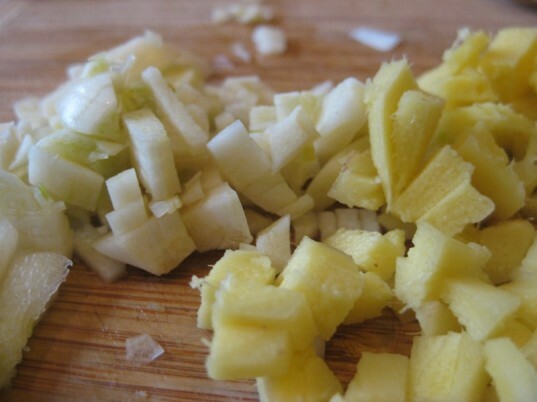 As always, I recommend chopping, mincing, and dicing beforehand so that you aren’t rushed while cooking the food. Heat canola oil in a soup pot over medium heat. Add diced onion and cook, stirring occasionally for 5 minutes. Add the minced garlic and ginger and turn down heat slightly so that they don’t burn. Cook another 5 minutes, stirring, then add carrot rounds and tomatoes. Cook another 4-5 minutes. 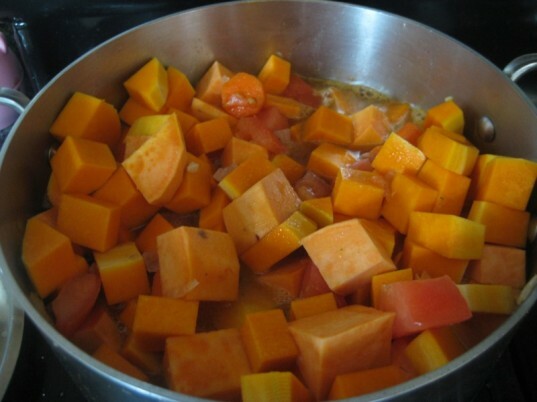 Add vegetable broth, sweet potatoes, and butternut squash, cover, and raise heat to medium high. Cook for 25-30 minutes, stirring occasionally and lowering heat to maintain a simmer as needed. 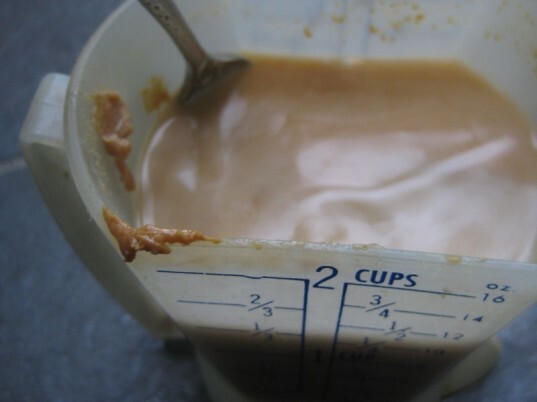 Meanwhile mix 1/2 cup peanut butter in 3/4 cup water to make a slurry. Add the the peanut butter and water mix to the stew as well as tamari or shoyu and powdered ginger. Taste for seasoning and add up to 1 tsp salt according to taste and depending on whether the peanut butter you used is salted (mine was not, and I used less than 1/2 tsp salt). Cook uncovered for another 8-10 minutes, stirring occasionally, until the stew thickens slightly. I personally like the stew on the thicker side, so feel free to cook for longer over a low heat, until the stew thickens even more. If you are adding the black eyed peas (which we recommend), add them a few minutes before you turn the heat off to allow them to warm slightly and be seasoned by the stew. I think this stew tastes even better the next day so feel free to make it in advance and heat it up. Serve warm over brown rice or whole wheat noodles and add a side of braised kale for a delicious, hearty, and festive dinner. 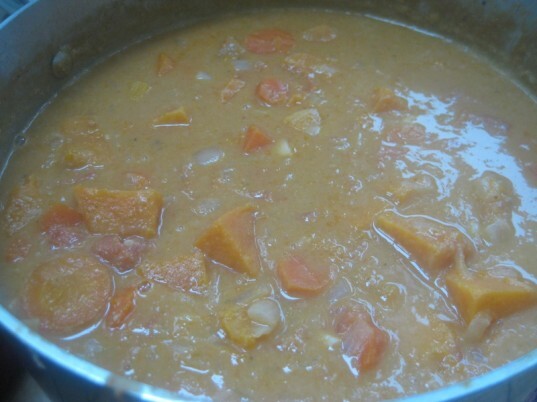 1 1/2 Tbsp canola oil 1 yellow onion, finely diced 3 garlic cloves, minced 2 Tbsp minced ginger 3 carrots cut into rounds about 1/2 inch thick 2 tomatoes, diced (You could also use a regular can of diced tomatoes-this will only slightly affect how much liquid will be in your stew.) 2 cups vegetable broth 4 cups chopped sweet potatoes (The amount of sweet potatoes you will use varies tremendously according to the size of each-I used one big sweet potato) 2 1/2 cups chopped butternut squash 1/2 cup peanut butter 3/4 cup water 2 Tbsp tamari or shoyu 1 tsp powdered ginger 1 tsp salt (or as needed) 1 1/2 cups cooked black eyed peas (optional) As always, I recommend chopping, mincing, and dicing beforehand so that you aren't rushed while cooking the food. Heat canola oil in a soup pot over medium heat. Add diced onion and cook, stirring occasionally for 5 minutes. Add the minced garlic and ginger and turn down heat slightly so that they don't burn. Cook another 5 minutes, stirring, then add carrot rounds and tomatoes. Cook another 4-5 minutes.